These manually operated Knapsack Sprayers are built from strong, lightweight, corrosion resistant polythene materials with considerations to comfort, reliability, ease to maintenance and cost. 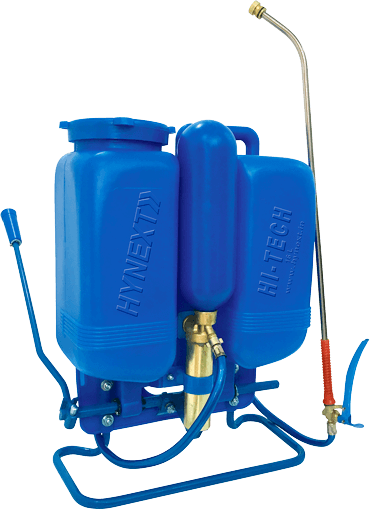 These sprayers are ideal for spraying on all fields as well as for anti-parasite treatment or spraying of insecticides. 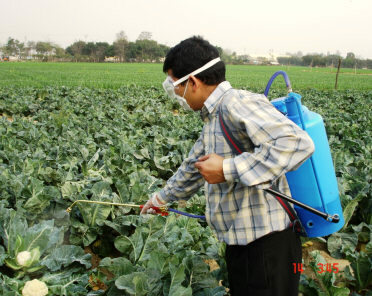 We are Agriculture Knapsack Sprayer manufacturer and Battery Sprayer supplier. 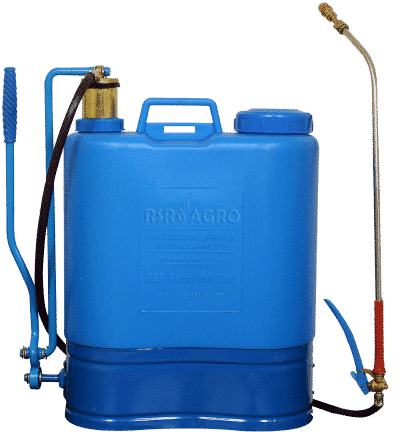 Depending on farmer's demand, RSR AGRO & SUNLORD manufactures various types of Knapsack Sprayer such as follows. 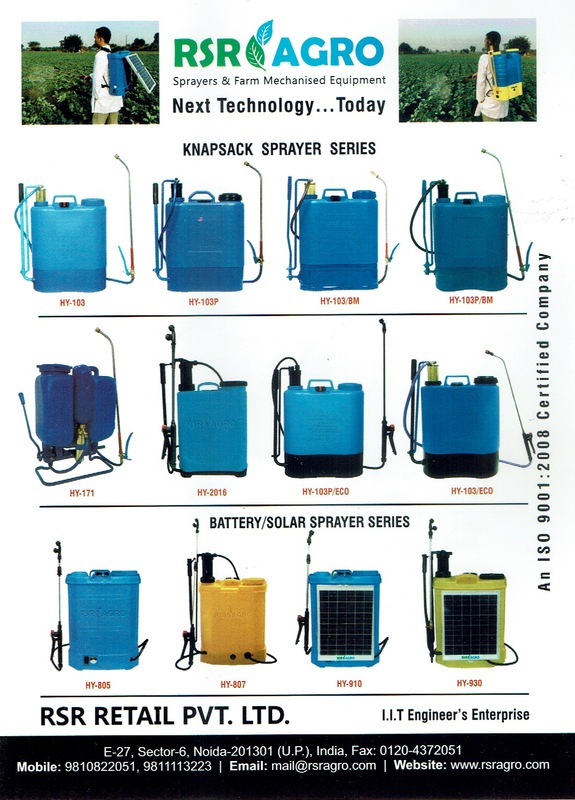 These Knapsack Sprayers are fitted with double ball bearing which reduces the effort of the farmer by 60%. The Pressure Chamber is made up of brass or plastic and the Plastic Tank is available in different colors such as Blue or White. Depending on customer requirements items such as nozzle,lance,trigger are customised. Fitted with double ball bearing and brass/plastic chamber. Skirt made of Heavy Duty Mild Steel. We hold BIS license IS:3906 for our above model. These Knapsack Sprayers are build from high quality polythene materials. The Tank made of HDPE has capacity for 16 Litres. This model comes with Stainless Steel Spray Lance, Brass Trigger cut-off device and Brass Nozzle. Tank made from high quality High Density Polythene (HDPE) resistant to impact and corrosion. Available in Blue/White colour options. The Plastic Chamber is made of superior quality Polypropylene CoPolymer (PPCP). Spray lance is made of high durability stainless steel and nozzle is available in Brass or Plastic as per customer choice. 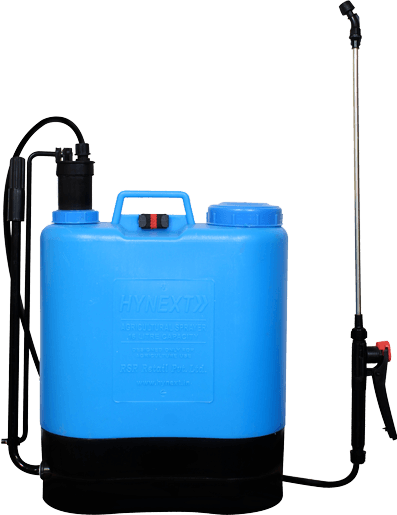 These Knapsack Sprayers are manufactured for most economical viable market. These sprayers are made of anti-corrosion materials and is lightweight. 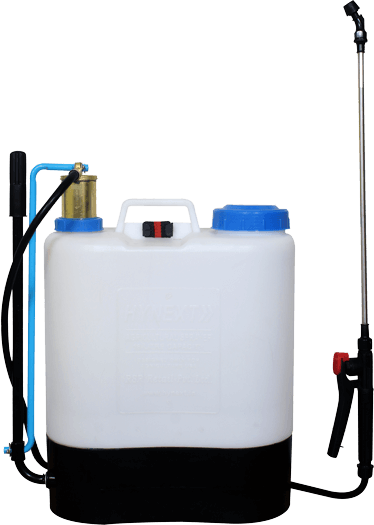 These Sprayers are also available in with Plastic Spray Lance and Nozzle. Very Economical and lightweight. Spray Lance also available in Plastic. Option of having Brass or Plastic chamber available. 16 lit. capacity high density polyethylene tank with pressure chamber and pump fitted outside the tank with 2 nos. adjustable shoulder straps without cushions complete with 110 cm long delivery hose and spray lance VMND consisting of trigger cut off, 60 cm long extension rod one end bend as gooseneck and mist spray nozzle with stainless steel disc and 1 set of packing gaskets. Centrally mounted. outside cylinder for balanced operation. Bigger filler hole and breather hole in strainer, allows filling spray solution without spilling. Available with Right or left hand operation.